At one time, all consumers wanted from a drink was that it should taste good and quench thirst. Nowadays beverages also have to deliver health benefits, make us more efficient at work or better at sport, or offer some kind of feel-good factor. Not only that, they should also be sustainably produced and exotic, and still taste as good as home-made. Of course this wish list is a reflection of the mega trends affecting our world today. And the suppliers of beverages, liquid foods and milk products are responding to them. Just how that translates into raw materials, ingredients and concepts will be presented at drinktec, the World´s Leading Trade Fair for the Beverage and Liquid Food Industry, taking place next year in Munich. Modern consumers expects products that are tailored precisely to their own requirements. More and more new beverages are being produced, in record time, and in an endless number of new taste directions. This is a very broad field for successful product innovations. What´s needed, as well as the right technology, are ideas and ingredients. For this reason, the section on ingredients and raw materials is being further expanded at drinktec and the nomenclature for the show has been amended to match. Whatever the requirement, in terms of color, aroma, vitamins, minerals, enzymes, emulsifying agents etc., drinktec is the place to find the right solution, for both suppliers and consumers. In Hall B1 at drinktec 2017 there will be a large, 11,000 square-meters, display of ingredients: raw materials and additives, agents and recipes. Integrated within this section is a special area called “New Beverage Concepts” where manufacturers will be presenting their sweeteners, colorants, flavorings, added ingredients (fortification) and recipes. For these manufacturers drinktec is offering an attractive all-inclusive package which includes booth construction, various services and high-profile marketing. That´s the title of a study commissioned by the Swiss food giant Nestlé, a member of the drinktec Advisory Board, to identify what Germany will be eating in the year 2030. One of the main findings is that food is increasingly becoming a question of lifestyle. The consumer wants the food industry and retailers to deliver products and services that correspond to individual needs and values, and which contribute to a sustainable and healthy diet. Health has in fact long been an important factor in what we eat. Behind it is the desire for “self-optimization” with food that is tailored to our own individual needs. The trend towards superfoods is a part of this, the more familiar exotic examples here being goji berries, matcha green tea, yerba maté, almond milk and coconut water. But there are plenty of alternatives coming forward: The “in” drinks in New York and Los Angeles are currently turmeric tonic, a kind of lemonade flavored with curcuma, and cold-brew coffee mixed with tonic water. With these superfoods the consumer is looking to derive key minerals, trace elements, vitamins, anti-oxidants and caffeine from natural sources. This also explains the success of “green smoothies”. With their high concentration of plant chlorophyll and anti-oxidants, these blended beverages of leaf vegetables and fruit are supposed to have a rejuvenating effect and promote health. Or at least so say a famous Hollywood actress and a top international model on the internet. The preference for “natural” products has also led to the “free from” trend that is seen all around the world at present. Consumers are paying more attention to what is in their food and drink: It has to be free of certain ingredients such as gluten or lactose, and not contain any genetically modified organisms. They also don´t want a long list of ingredients, and those ingredients have to be native and sustainably produced. That applies of course also to the aromas, sweeteners and colorants used in beverages and liquid food. 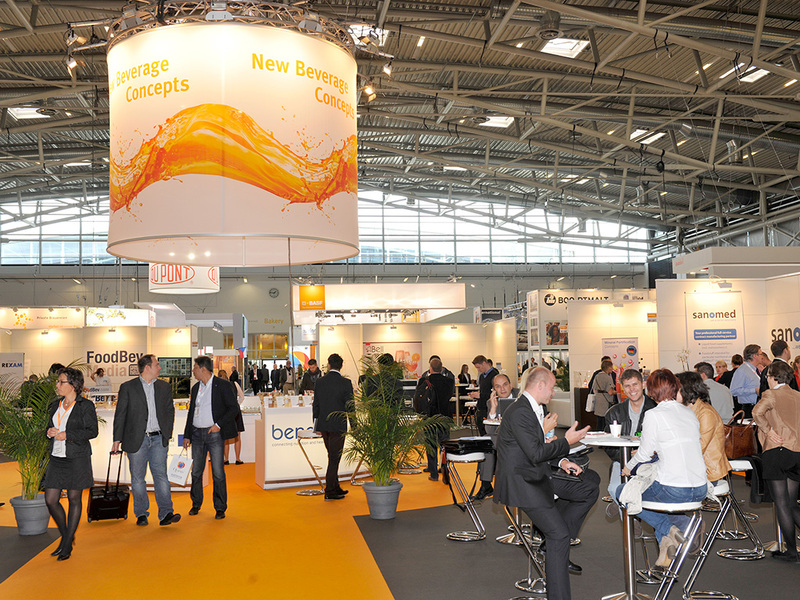 An absolute must for marketing specialists and product developers in breweries and soft drinks companies, as well as SMEs, dairies and liquid-food producers is the special area on “New Beverages Concepts” (NBC) at drinktec. Because this is the place to find out about new sweetening, coloring and aroma strategies straight from the suppliers, and to sample these new developments. New beverage themes are also integrated in the Innovation Flow Lounge (IFL), a discussion platform successfully launched in 2013 (see also the drinktec press release of March 30, 2016). In 2017, for the first time, the IFL and the NBC are sharing a joint communication space with a bar as a linking element. What we drink is therefore becoming also a question of ethics and lifestyle. As a reaction to globalization and climate change more and more people are turning to regional foods, for example. In this context the ever more popular trend towards making one´s own food is taking a new turn. Because what started out with jam, has now moved on to sausages, cheese, bread and pickled vegetables. There is a renaissance of interest in classic food-preservation processes such as lactic acid fermentation. And this is opening up the way for new beverage concepts, drinktec 2017 being certainly the place to see these. Because drinktec is the No. 1 global platform for new developments: No less than 90 percent of the trade visitors cite the innovations and world premieres here as a main attraction of the show. And 95 percent of the visitors are interested in ingredients, additives and raw materials, this figure coming from a representative survey at drinktec 2013. The regional emphasis applies also as regards the new superfoods. Attention is turning to the more exotic regional specialties such as birch water or birch sap, which has long been a national beverage in Russia and Poland. This sweet-tasting fluid, obtained direct from the trunk of the birch tree, has beneficial ingredients that have an anti-inflammatory effect or reduce cholesterol; it is even supposed to counteract hair loss. A second example is beetroot juice. Endurance sportspeople have taken this up in a big way, ever since scientists at the University of Exeter in England observed that 0.5 liters of beetroot juice enhances the performance of endurance athletes by around 16 percent. An amazing figure, especially when you consider that Epo, a synthetic and banned doping substance, achieves only a 7 percent increase. With the right tools the global food and beverage industry has many opportunities for successful product development. A good example is the mega trend in craft beer. At drinktec trade visitors can find out first hand about malts that, for example, add a chocolate note to the brown brew. And they can review different types of hop that add a hint of citrus to the taste. Not forgetting the many different yeasts, which also give a unique identity to the final product. With German beer of course, all the ingredients have to be natural and comply with the Purity Law. Trade visitors interested in brewing will be making a bee-line for the Brewers´ Meeting Point, as a perfect place to get talking to fellow professionals. Also unmissable is the chance to find out about all the latest beer specialties in the World Beer Sommelier Championships and the European Beer Stars. Inspiration is after all always the most important ingredient.